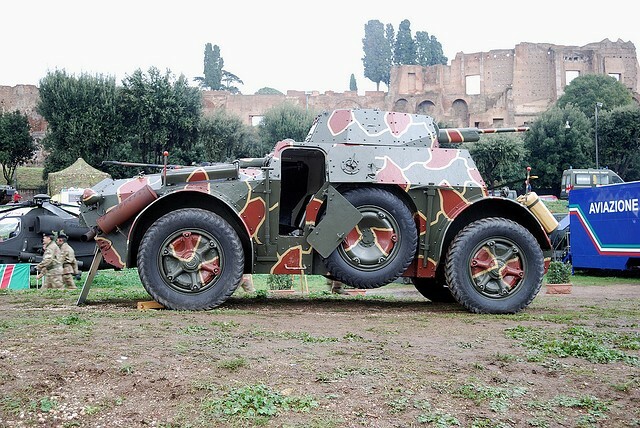 Italian vehicle of the second World War, with a ten-speed gearbox (six forward and four for driving back), it could move in both directions. The two spare wheels allow the vehicle to overcome every obstacle. This photo was taken in the Italian Day Army in Circo Massimo (Rome, Italy) in october 2009.